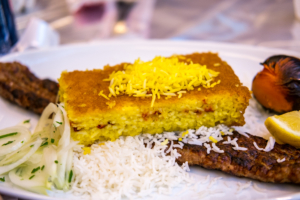 Tehran is a huge city and if you ask an Iranian what their favourite restaurants are, they’d usually ask you back, “Which part of Tehran do you want to go to?” There are simply many choices that you can choose from. 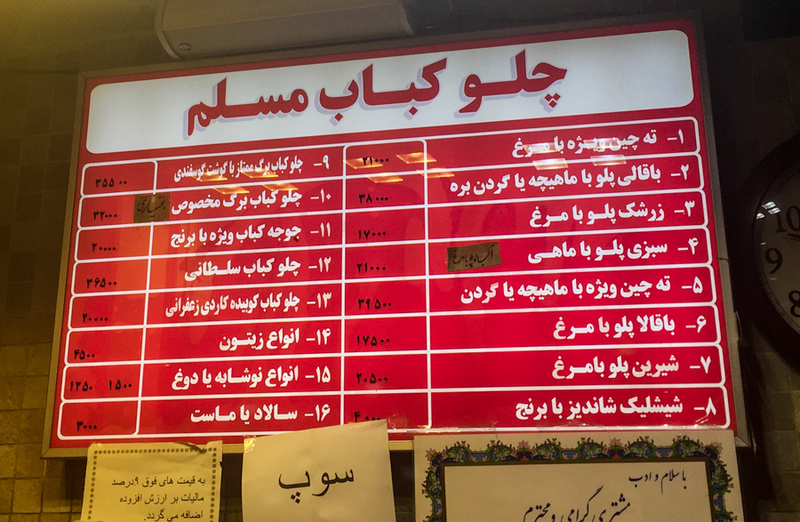 So here are the 4 restaurants that were recommended to me by many of my Iranian friends and hosts. 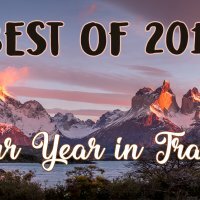 You can try other eateries and restaurants, but make sure you don’t miss these! 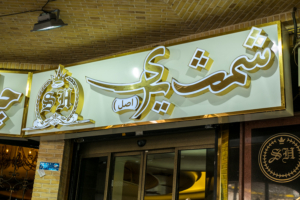 Your visit to Tehran won’t be complete without visiting this famous restaurant in the Grand Bazaar. A number of people queuing inside this restaurant during lunch hours indicates how good this place is. 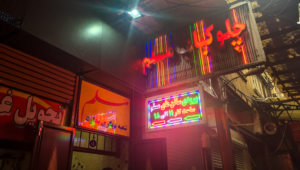 We came here on our last day in Tehran and we couldn’t be happier. The foods were indeed delicious. 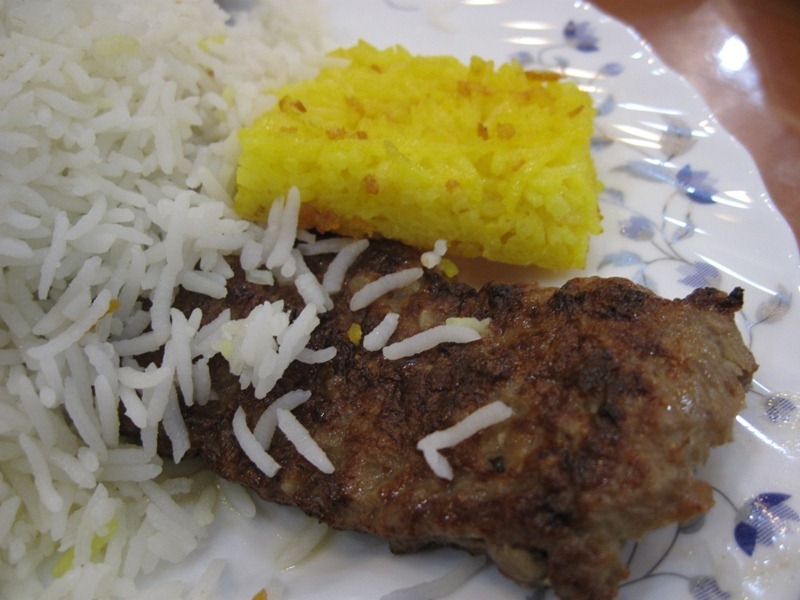 Since we had been eating too many chelo kebab and kebab koobideh around the country, we decided to try something different. 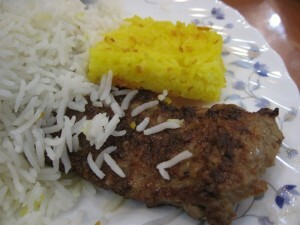 We ordered morgh polo (rice with stew chicken), shishlik or dande kebab (rib kebab), and soup-e jo (lentils/barley soup). They are really amazing! The chicken stew was full of flavour and it has a slightly sour taste which is very nice. The shishlik was juicy and tender. 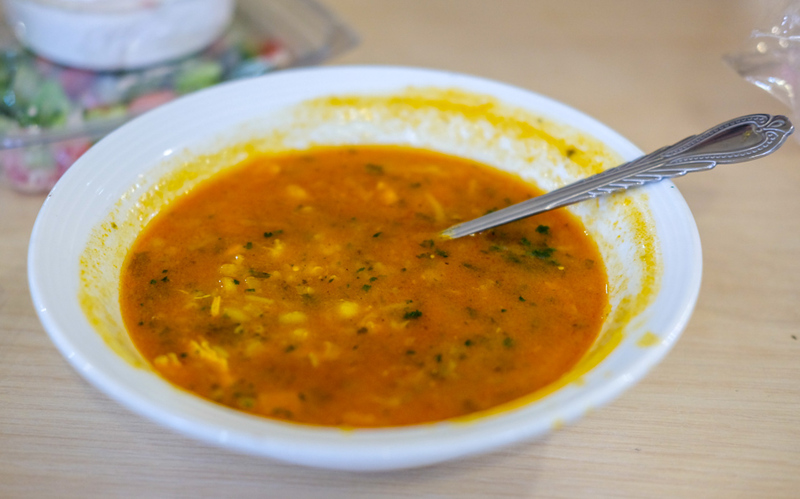 The soup was very tasty and has lots of flavours, similar to what my mom would make back at home. 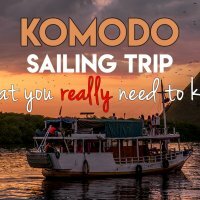 I’d highly recommend you to try these dishes! The price is quite reasonable, around 200,000 to 350,000 rials per dish. The portion is quite huge for a dish, so it’s worth the price. On our second day in Tehran, our Iranian hosts brought us to this Shamshiri Restaurant, located in the Grand Bazaar. We didn’t go to the Moslem Restaurant as the queue was too long and our hosts told us that this restaurant was much better than the Moslem Restaurant. So we gave this restaurant a try. 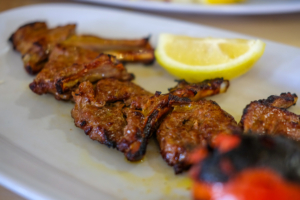 We ordered tahchin with kebab and it was delicious! The kebab was juicy, exactly like I wanted it. There was also a salad bar, which was free. Too bad we didn’t get to try other foods here as the portion is quite huge. Perhaps, next time? Here’s our vlog in Tehran, featuring Shamshiri Restaurant. 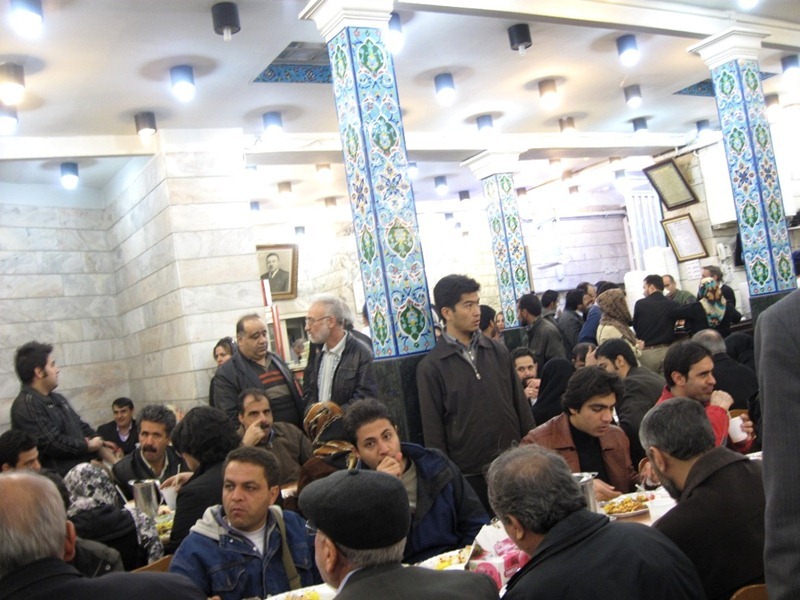 This was another restaurant located in the Grand Bazaar that was recommended by my host when I visited Tehran 6 years ago. I didn’t get to go here back in February. But I remember I loved the tachchin so much. 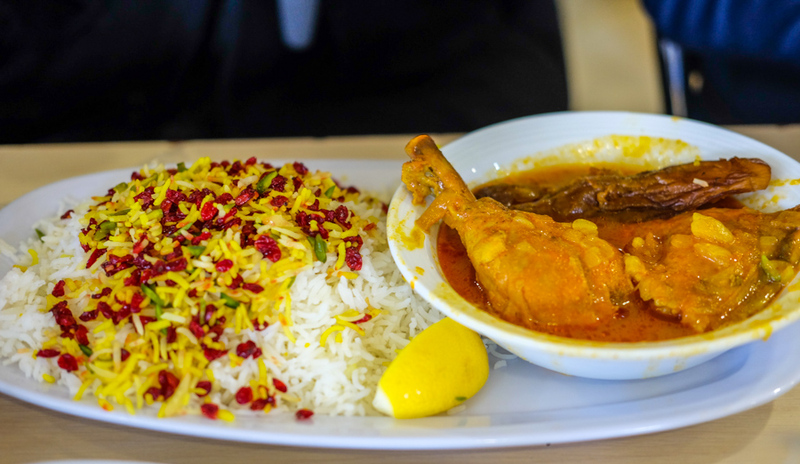 It’s better than the one I tried at Shamshiri Restaurant. 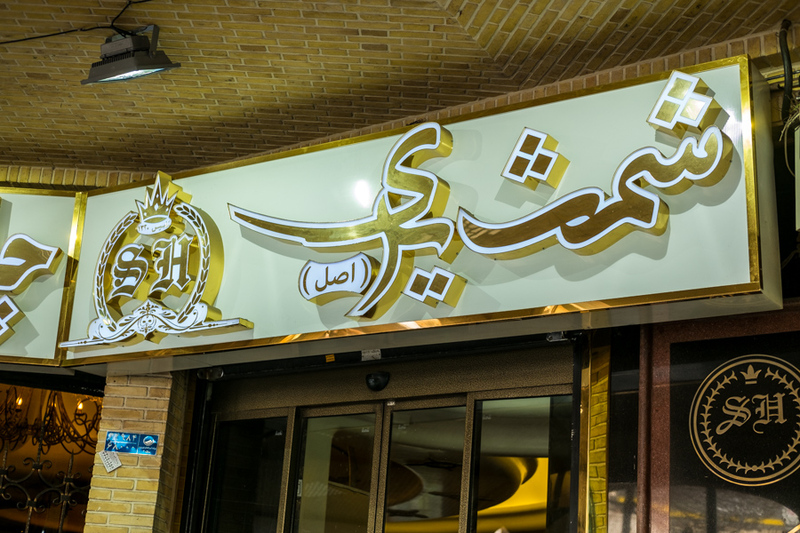 Judging from the reviews, it is still one of the top traditional restaurants in Tehran. Just like other restaurants around the Grand Bazaar, this place gets very crowded during lunch time. So make sure you come here early to order! If you are rather adventurous when it comes to culinary, try the popular local dish called kalle pache (literally heads and hooves). Kalle pache is a breakfast soup made of lamb’s head, brains, eyeballs, tongues, and hooves. It is served with lemon and cinnamon. 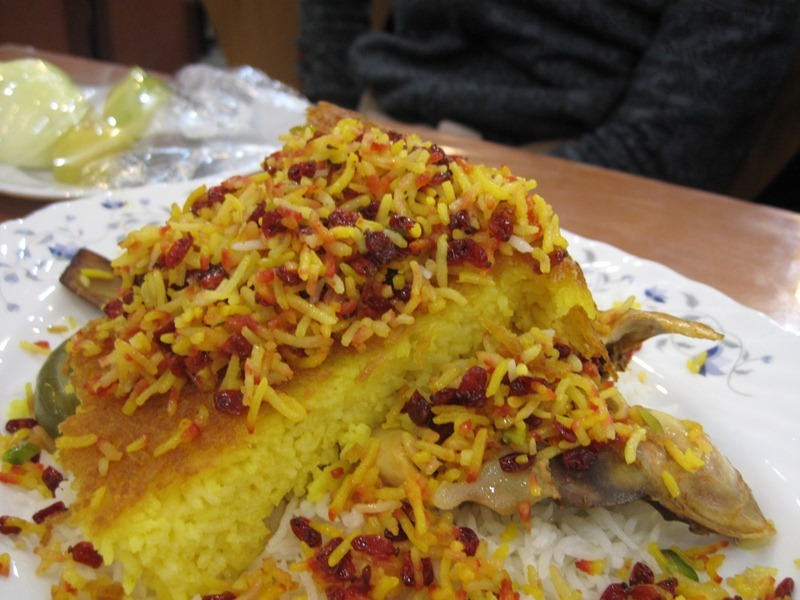 Traditionally, this dish is only available from 3 AM in the morning until sometime after dawn. It is meant as an energy boosting dish and it will make you full until dinner. There are several places in Tehran which serve kalle pache (search for “tabbakhi tehran”). 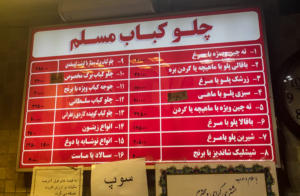 Our Iranian hosts recommended this restaurant, located 1.3 kilometres away from the Towhid metro station. According to them, this is one of the best kalle pache restaurants in town. To be honest, it took us a few days to gather the much-needed strength to eat kalle pache. When that day eventually came and we went to the restaurant, we were told that kalle pache was finished already. We had to come back at 3 AM in the morning. What other restaurants or stalls in Tehran would you recommend? Tell me in the comment below! 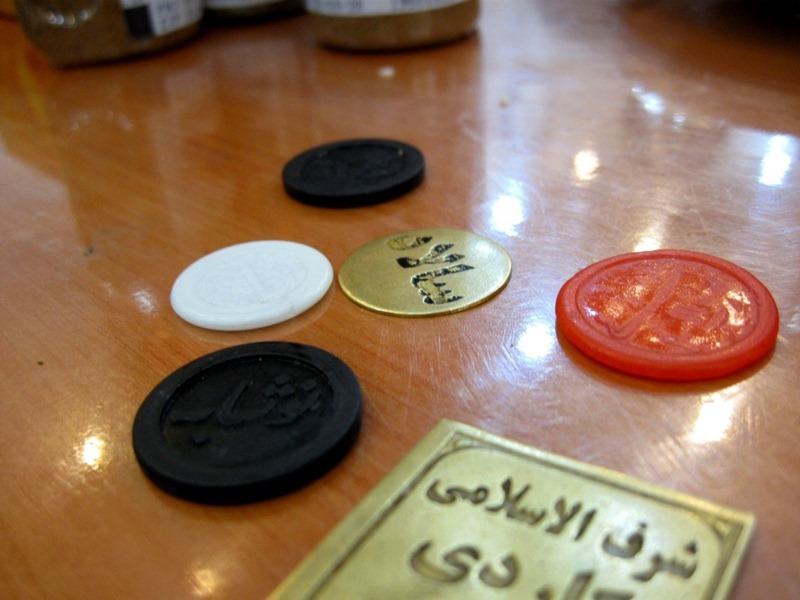 I have actually been to Iran for 5 years now. Pleasure Amalia will try them out.